I know it's tough for indies to stand out. Especially at this time of year, where big horse testicle games are dominating the headlines. But still, throwing every "cool" word into your press release really does come across as being quite on the nose, folks. Stop it. That being said, Midnight Wave does actually look really good. Really, really good. It comes to us from a US-based indie developer Walthall Studios, and really is looking to combine Fire Emblem-like tactics (with the map and unit positioning), with Smash Bros.-like platformer combat. The developer is also promising a high standard of production, with voice actors being drawn from A-list franchises including The Legend of Zelda: Breath of the Wild, Final Fantasy, Kingdom Hearts, Street Fighter, NieR, Dragon Ball, Persona, My Hero Academia, and more. The developer is looking to Kickstarter to finance this project. If it sounds good to you, or you'd like to learn more about it, you can back it here. There's no shortage of rhythm games on the Nintendo Switch now, but one of the better ones is certainly Deemo. Hundreds of music tracks, all modelled after piano play... and even compatible with the Nintendo Labo cardboard piano! This is one impressively-featured package of really good music, and an achingly beautiful aesthetic. Of course, some people just prefer their games to be physical, and for those people Deemo will soon become a collector's piece. The physical edition of the game launches on January 29. With three difficulty settings for each piece of music, and the music neatly arranged into a very wide range of musical genres, composers, and themes, Deemo is a rhythm game that I am still playing to this day. It's simple, as far as rhythm games go, but it's so elegant, and executed perfectly. You could do much worse than adding this one to your Switch library. While I wasn't the world's biggest fan of the original Gear.Club, it remains undeniable that it was the best effort at bringing a racing game with high production values to the Switch so far. So I'm willing to give Gear.Club 2 a chance, and based on this new trailer, it's looking very nice. This trailer shows off the game's customisation options. As any gearhead knows, a good racing game needs to allow you to do plenty of tweaking under the hood of your chosen vehicle. From the press release: Decisions taken in the Performance Shop affect the behavior of cars. To take on seasoned drivers, players will need to modify their vehicles to make them more competitive. If a car is too light, too powerful and fitted with original equipment tires, it will be very difficult to drive and players are likely to end up in the ditch. Guided by their workshop manager, players will have to consider the characteristics of materials and laws of physics to create balanced cars that offer a realistic driving experience. If this sounds good for you, look forward to playing it over Christmas this year. The game launches on December 4. 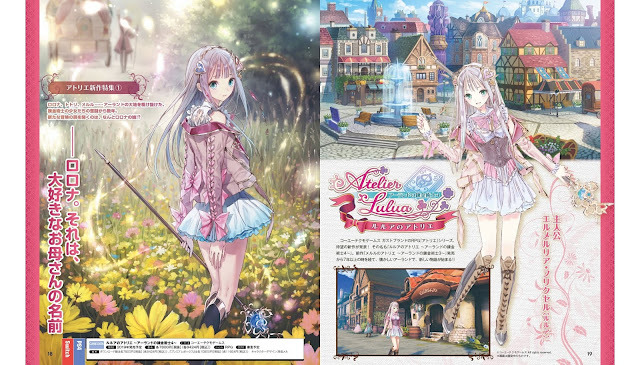 Yesterday, we had the news to share that Koei Tecmo's next Atelier would be a new entry in the Arland series - Atelier Rorona, Totori and Meruru making up that original trilogy. 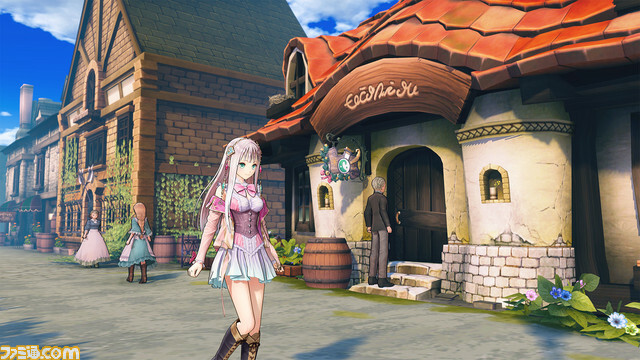 Details were scarce, but we were told that the game's artists would be Mel Kishida, back from the original trilogy, and that it would star Rorona's daughter. Now, thanks to Famitsu, we have the character art and first screenshot of the game. It doesn't show much, other than who this new protagonist - Lulua, is - and she is absolutely gorgeous. No doubt we'll find out lots more about the game between now and it's release in 2019 in Japan. For now it's just comforting knowing that the game is on its way.